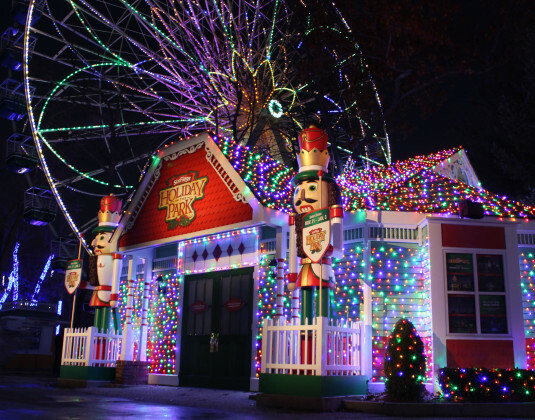 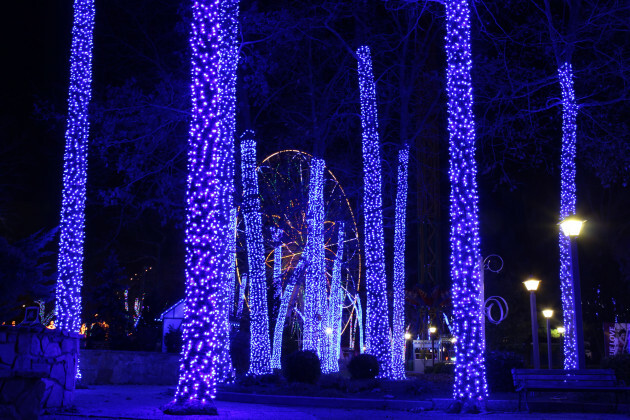 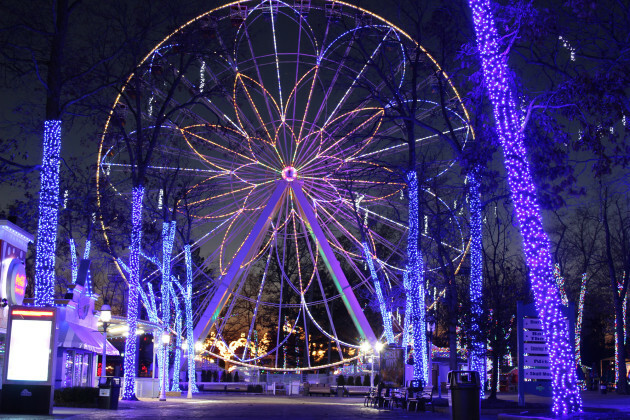 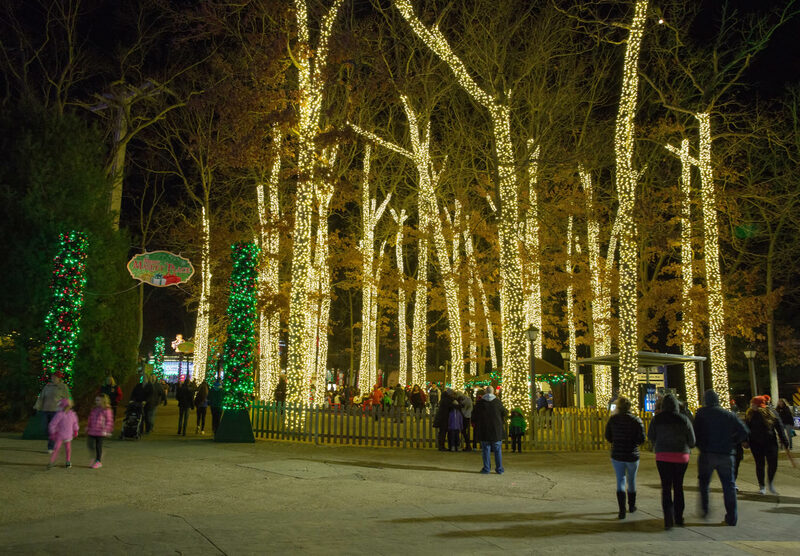 Jackson, NJ — November 9, 2017 — The World’s Ultimate Thrill Park, Six Flags Great Adventure, lights up the nights to magically transform into a winter wonderland for Holiday in the Park weekends and select days November 18 through January 1, 2018. 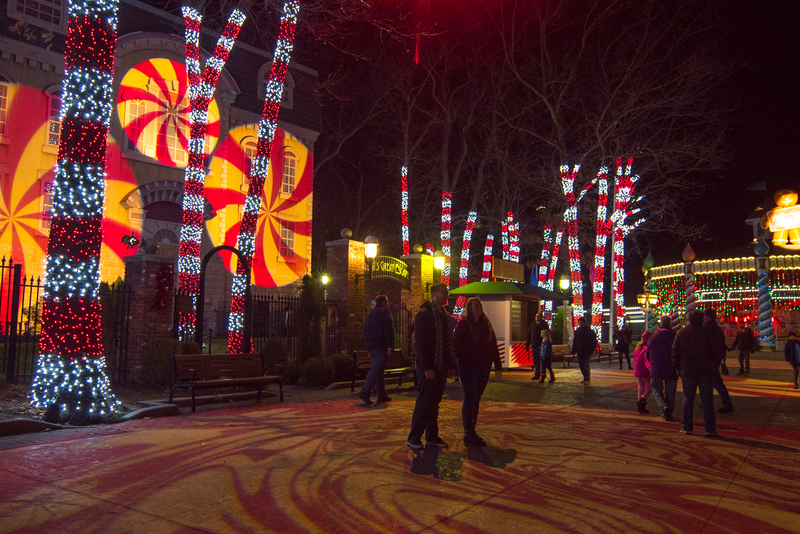 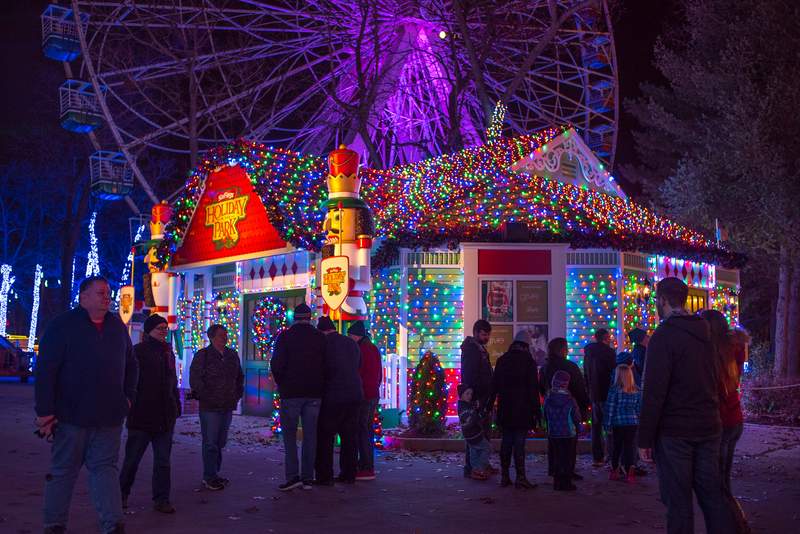 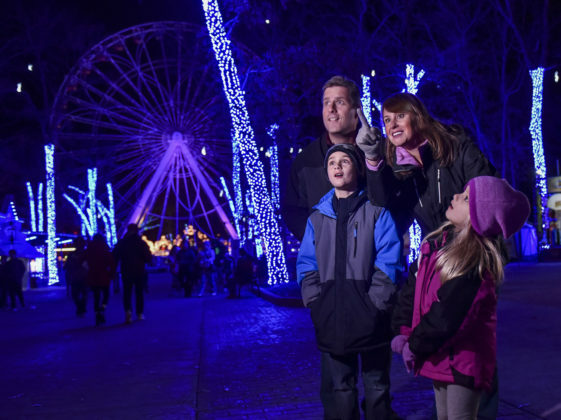 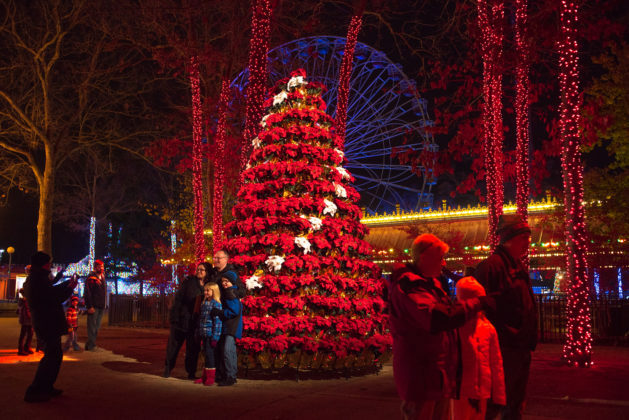 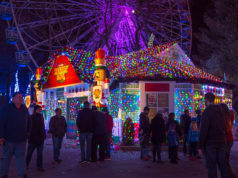 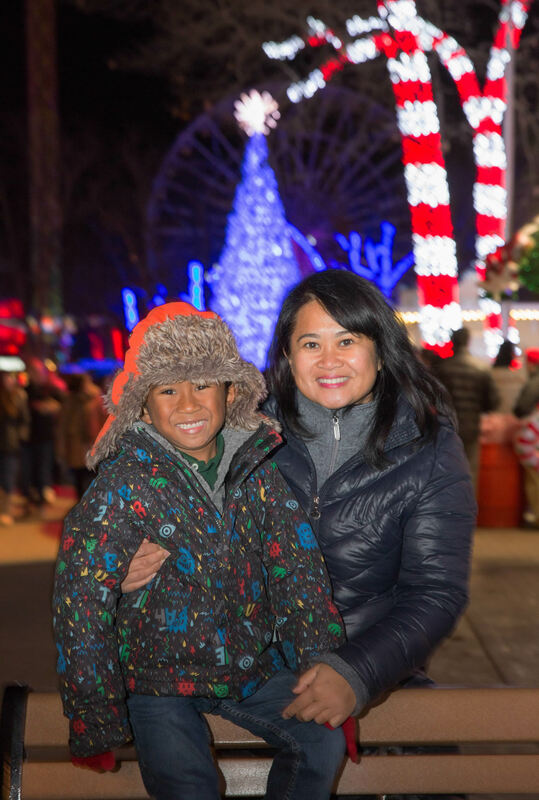 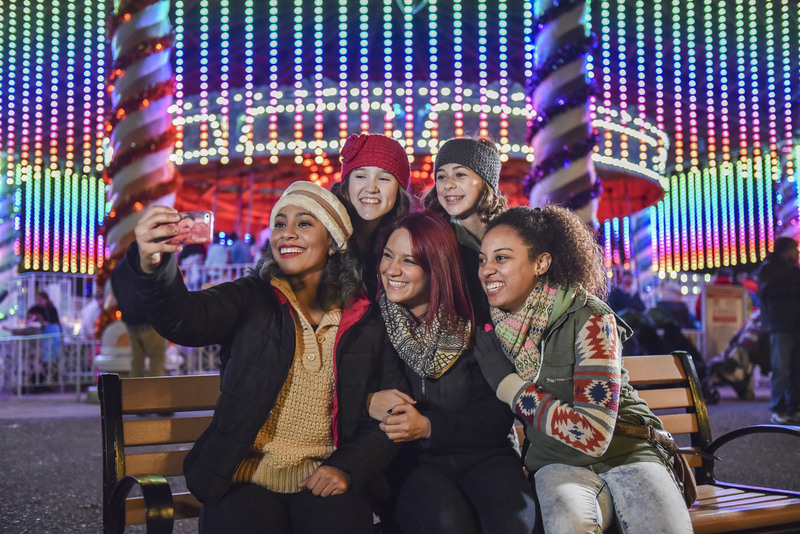 More than a million glittering lights, dazzling holiday entertainment, delicious seasonal treats, Santa’s village and many of the park’s most popular rides provide the perfect setting for memorable holiday moments at Six Flags Great Adventure this winter. 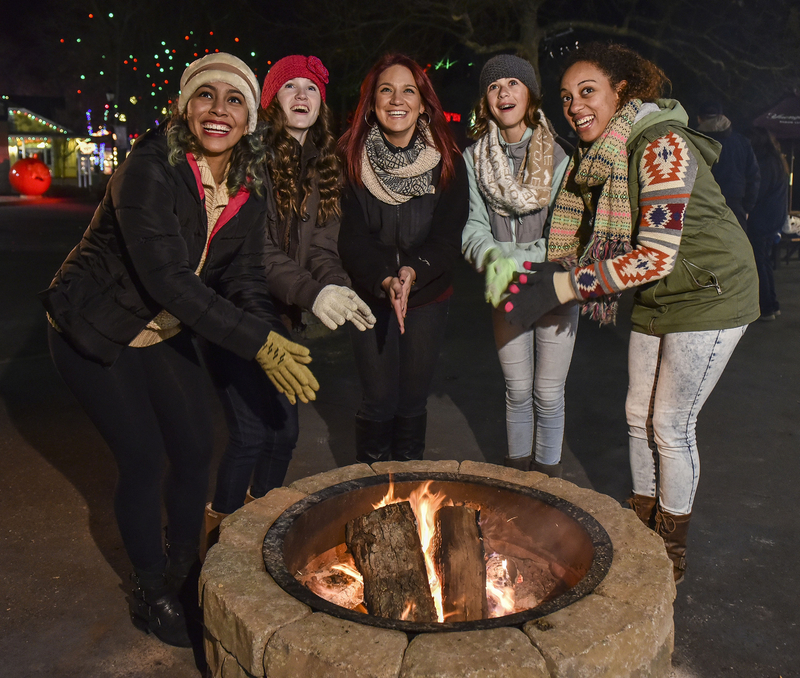 Opening for its third season in 2017, Holiday in the Park features new attractions, shows, rides and a variety of new dining options. 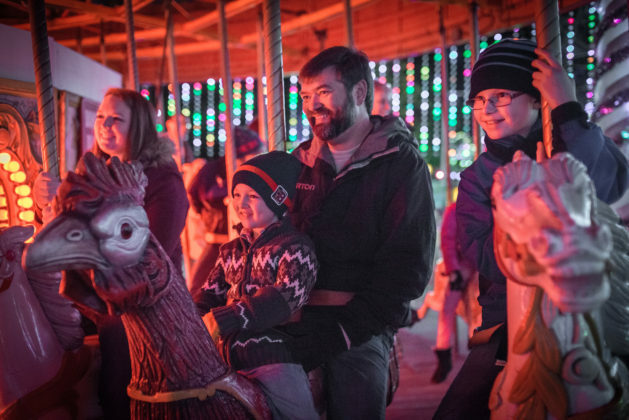 This incredibly immersive and magical holiday experience features 13 specially-themed areas with sights, sounds, scents and experiences coordinated to provide each section with distinct character. The event is included with all Season Passes and active Memberships. 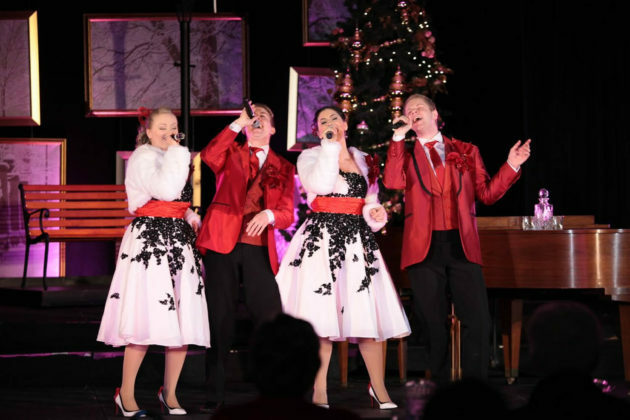 Spirit of the Season: A Holiday Celebration — This all-new song and dance show embodies the most wonderful time of the year, featuring contemporary holiday hits and a twist on the classics in the Showcase Theatre. North Pole Research and Development — Guests can join Mrs. Claus as she visits the North Pole Research and Development Lab to investigate all of the newest goodies for 2017. 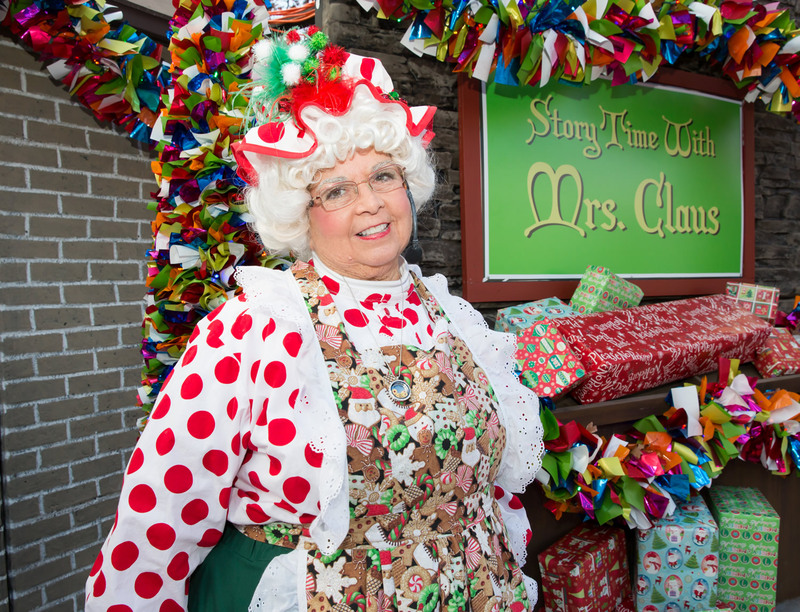 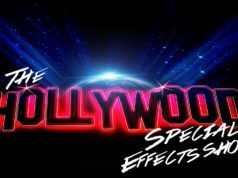 This magical show is filled with unexpected surprises and fun for all ages in the Adventure Theater. Holiday Heroes — This newly-themed area lights up the bridge to Metropolis where guests will find red, white and blue glowing lights, JUSTICE LEAGUE: Battle for Metropolis and two new food locations serving snacks, soups, sandwiches, beer, wine and more. Yuletide Brews — Guests can enjoy seasonal beer and warm up with spiked hot chocolate at this holiday-themed bar located in the Merry Market Place. Arctic Orbs — Polar Point boasts an expanded glow with the addition of the Arctic Orbs area. These ground level glowing balls light the path from SkyScreamer to THE JOKER and create an amazing photo opportunity. 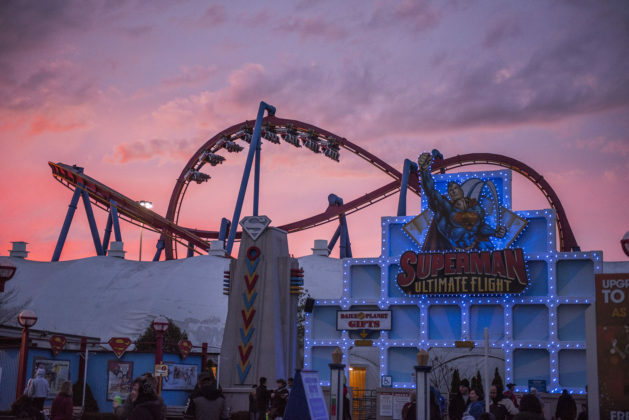 Expanded ride package — In addition to nearly 30 favorites like Nitro, BATMAN the Ride, SUPERMAN: Ultimate Flight and THE JOKER, guests can now take a spin on the all-new interactive family thrill ride, JUSTICE LEAGUE: Battle for Metropolis. 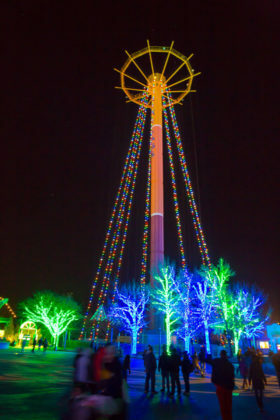 All rides are weather permitting. 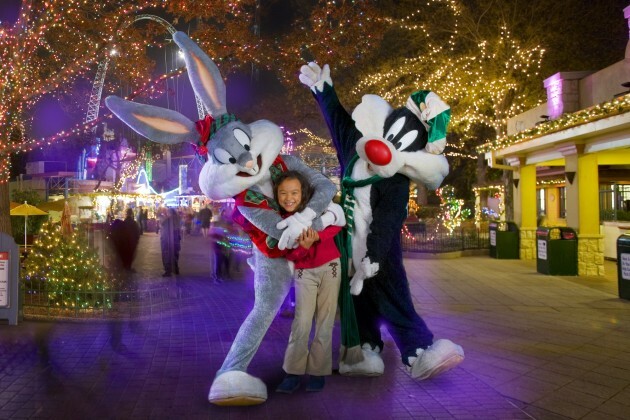 Frontier Adventures including Safari Off Road Adventure, Bugs Bunny National Park and Plaza del Carnaval do not operate during the festival. 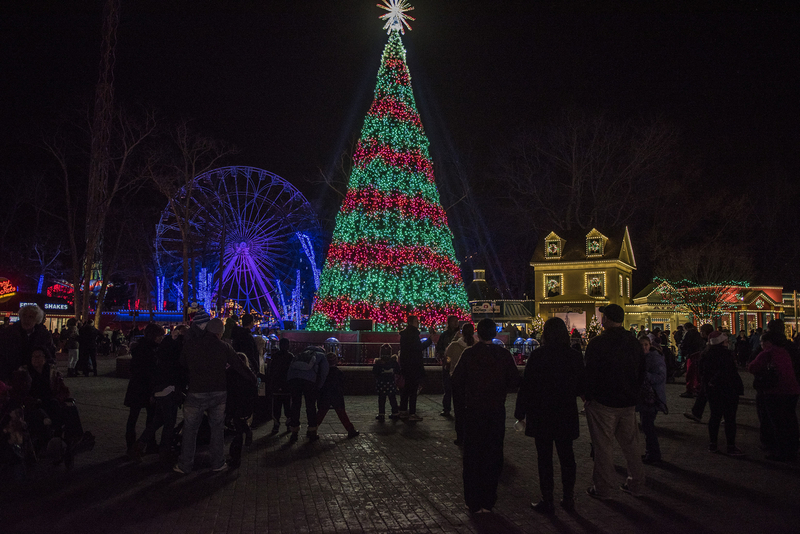 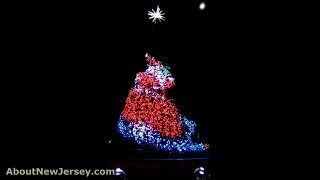 Holiday Magic: A Celebration of the Season — Spectacular light show on a 52-foot-tall tree in the heart of the park that dazzles nightly every 30 minutes through eye-popping effects, stirring music and gently falling snow. 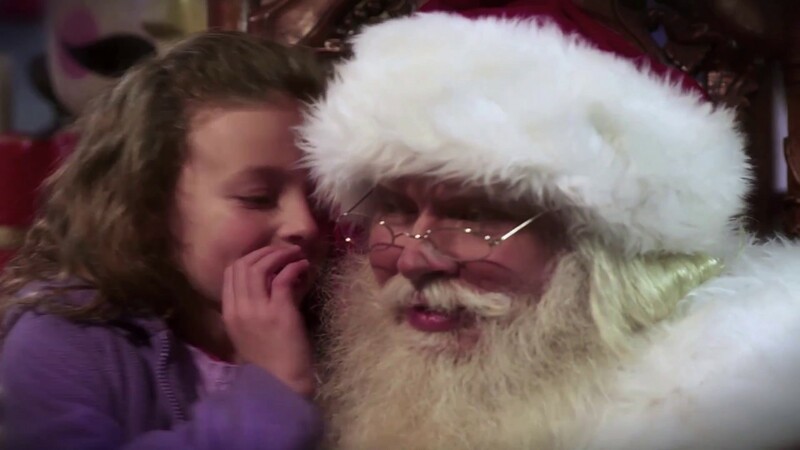 North Pole — Guests are invited into the warmth of Santa’s home for a meet-and-greet and holiday photos, plus kids can write letters to Santa and even meet a talking reindeer. 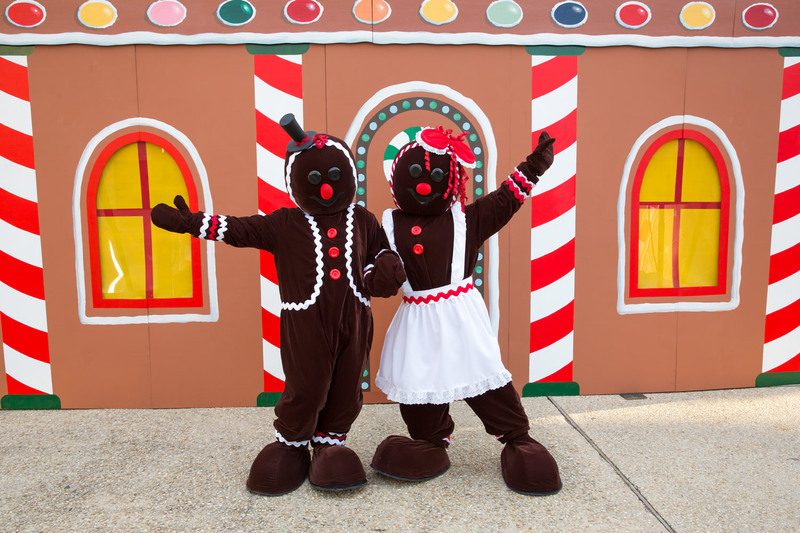 Gingerbread Junction — A giant, inflatable gingerbread man welcomes guests to this whimsical section along with Dot & Drop Gingerbread, featuring peppermint swirl-wrapped trees, the regal Peppermint Princess and dancing lights around the carousel pavilion. 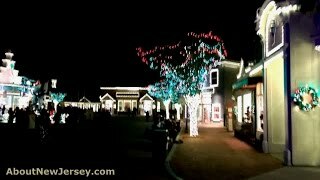 Joy to the World — Tranquil pathway of warmly lit trees, luminaries and stained glass showcasing religious holidays from around the world. 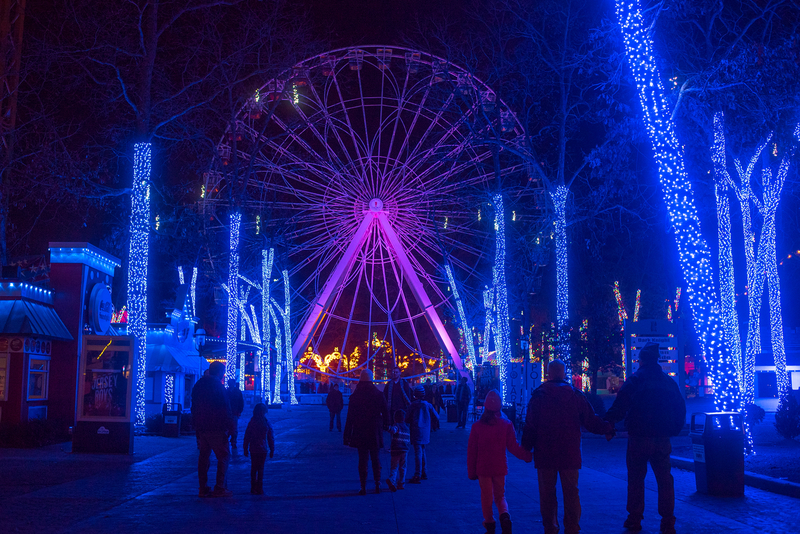 Polar Point — Stunning, ice-blue trees twinkle with the illusion of falling snow up above, while her highness, the Snow Queen meets guests below. Poinsettia Peak — Skull Mountain roller coaster has been transformed into a mountain of dazzling red lights with a crimson beauty, the Poinsettia Princess, greeting guests nearby. Holiday Fire Pits — Four sections of the park feature wood-burning fire pits that warm the soul and are popular spots for toasting s’mores. 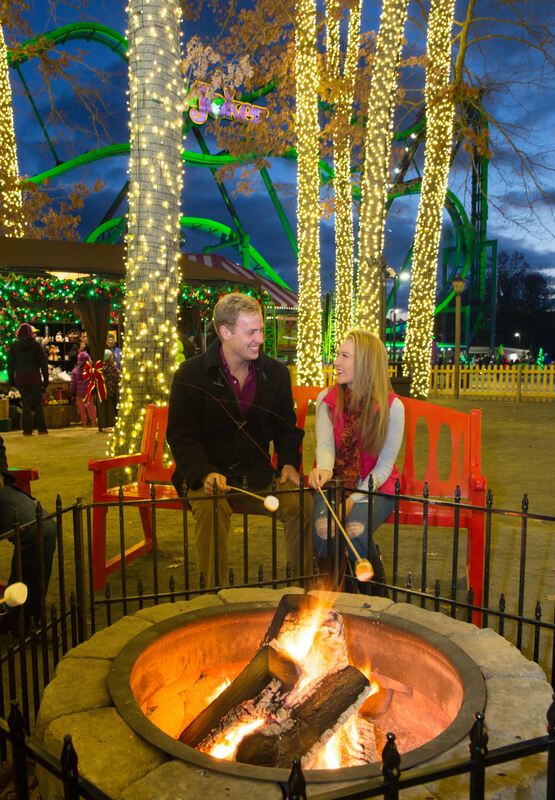 Holiday Eats — The sweet and savory tastes of the holiday season can be found throughout the park, like spiked egg nog, holiday-flavored coffee and hot chocolate, peppermint and mocha fudge, seasonal beers, festive funnel cakes, specialty holiday platters of sliced turkey, smoked turkey leg and chicken platters with cranberry sauce, chili bowls, harvest salads and flatbreads and hot soups. 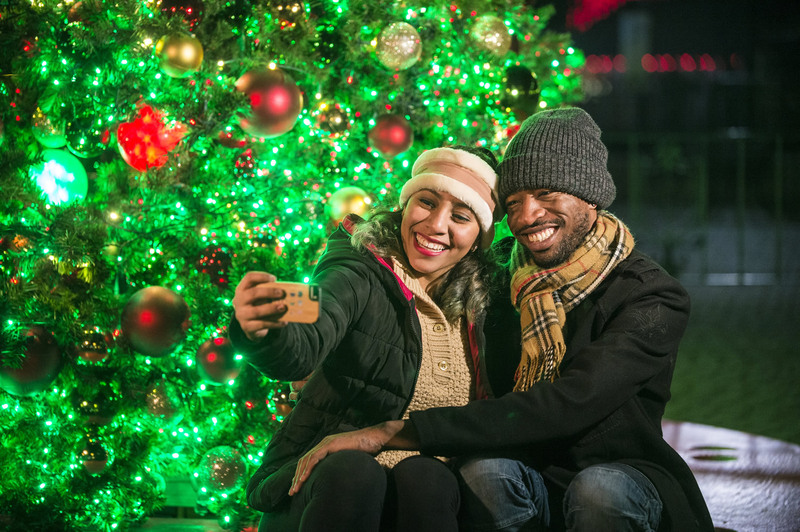 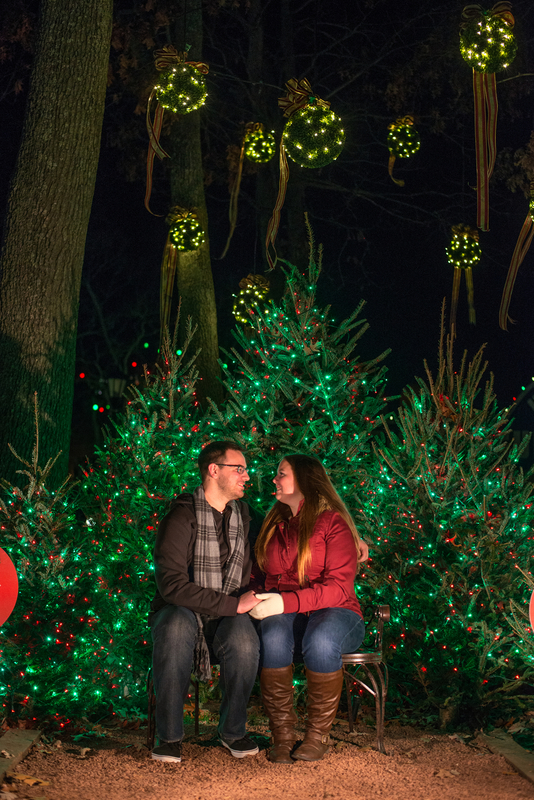 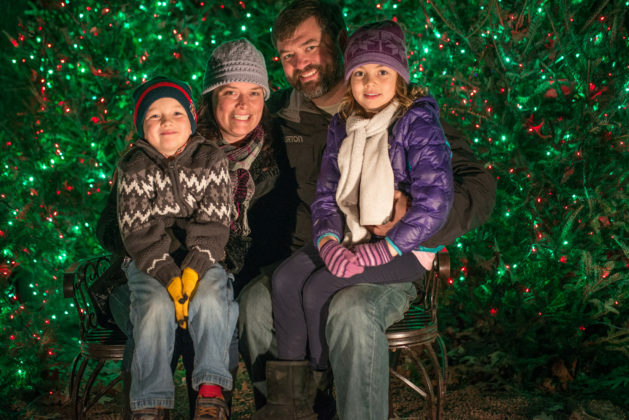 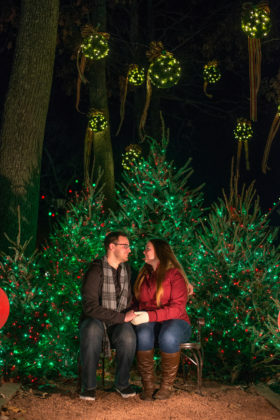 Festive Photo Spots — An antique sleigh, twinkling mistletoe, larger-than-life characters and decorations, Santa’s elaborate home, and a kiddie train are just a few of the fun photo spots guests can preserve their holiday memories. 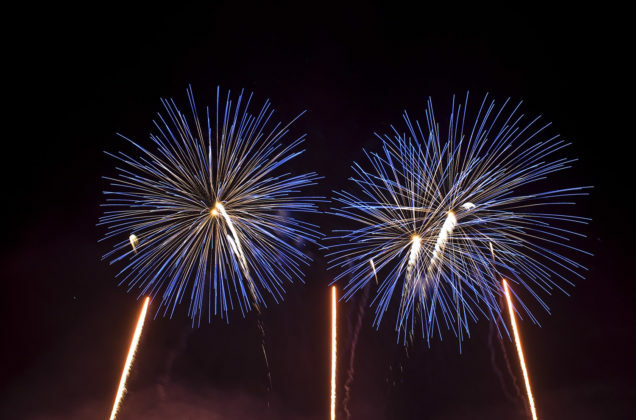 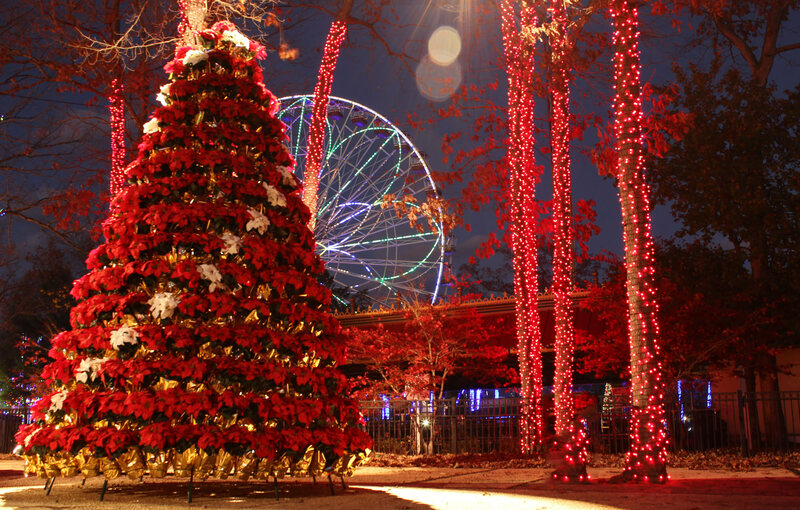 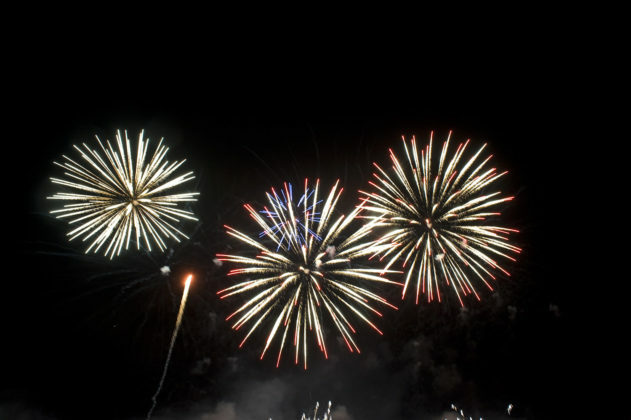 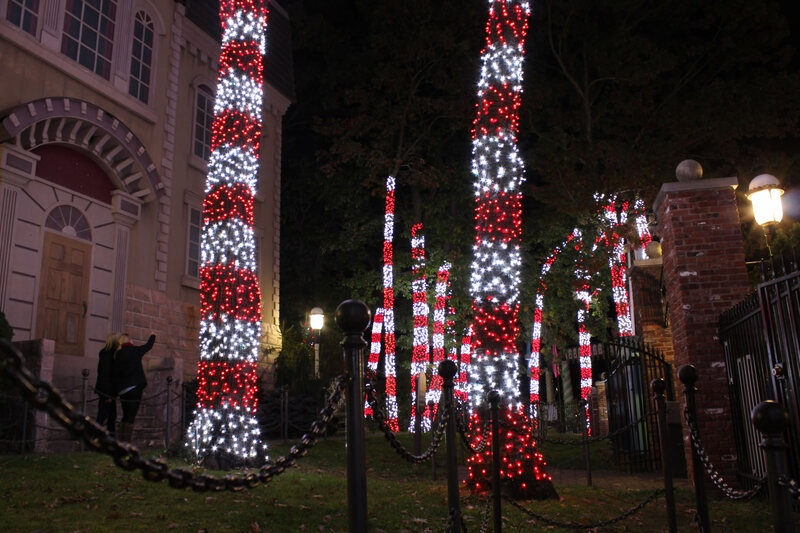 Holiday in the Park’s opening weekend features two special events Sunday, Nov. 19. The morning begins with the Santa Run 5K race at 11 a.m., and an Elf Run 1K for kids that includes a meet-and-greet with Santa at noon. Tickets and registration are available online. 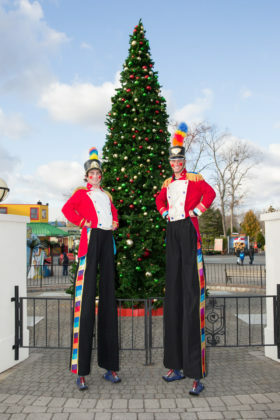 The Holiday Express band will perform at 4 p.m. and the show is free with park admission. 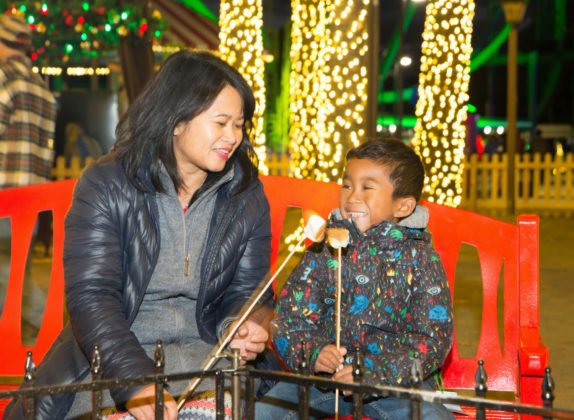 Holiday Express is comprised of 1,700 volunteers including more than 100 professional musicians and delivers music, food, gifts, financial support and friendship to those in need during the holiday season. On December 9, Six Flags theme parks across the country will host Six Flags Snow Day and invite guests to participate in the world’s largest snowball fight. 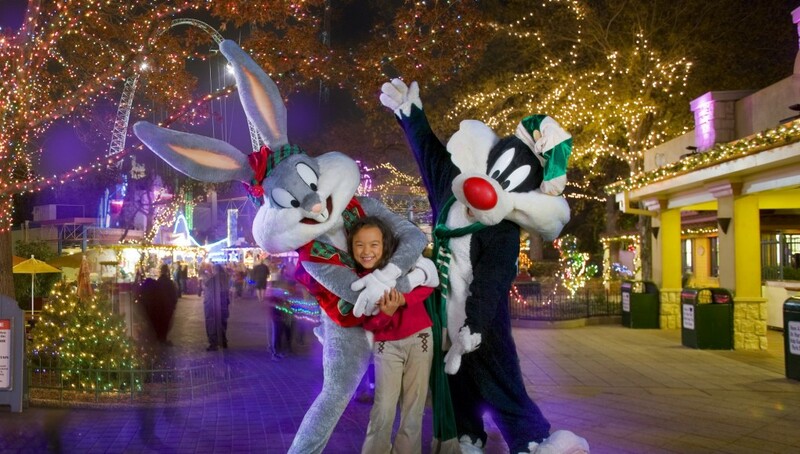 Participation is limited and free with theme park admission. Guests will receive soft, indoor snow balls to toss during this family-friendly event. 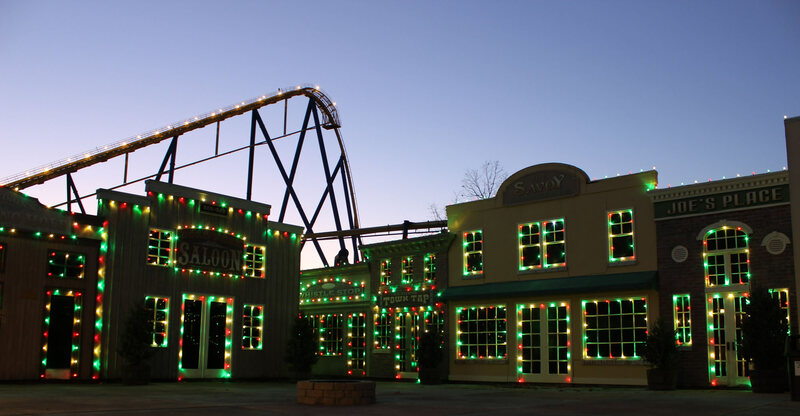 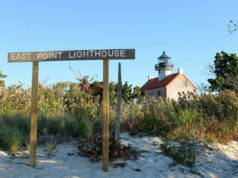 More information will become available on the park’s website. 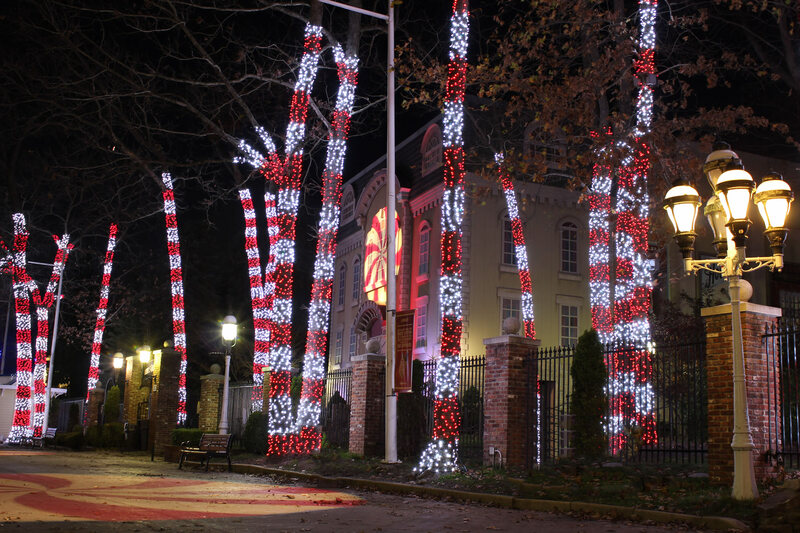 The Central Jersey Blood Center will host a holiday blood drive December 10 in the park’s Employment Center from 8 a.m. to 4 p.m. 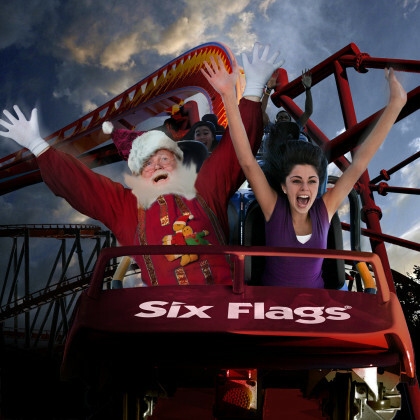 Guests who donate a pint of blood will receive one theme park ticket valid for Holiday in the Park. 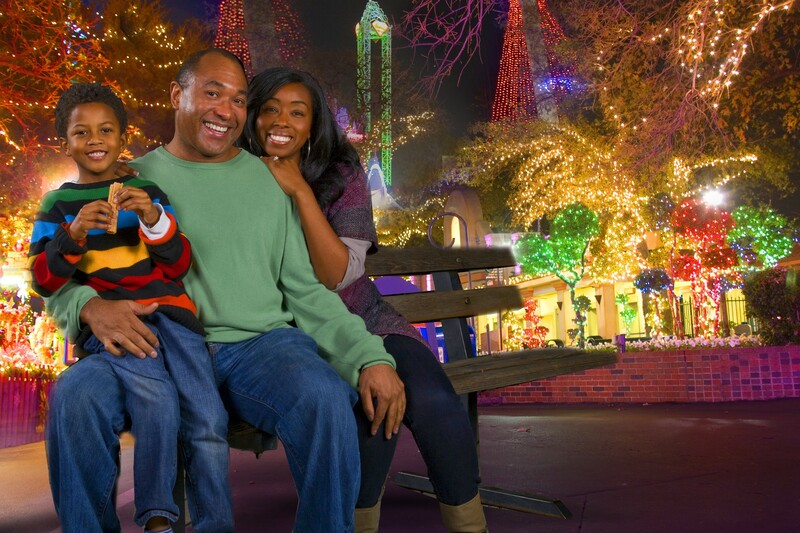 Walk-ins are accepted, but appointments are encouraged and available by visiting the web.